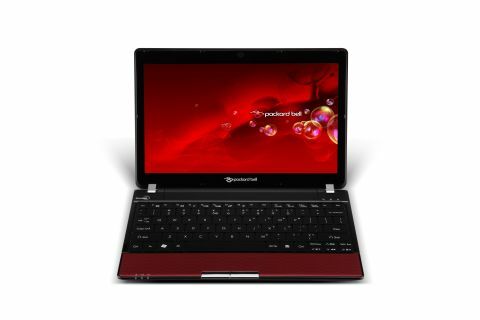 The Packard Bell Dot U is being marketed by the company as its latest netbook, but while it definitely shares some features with those mini machines, some of the components used here place it more in the ultra-portable laptop category. Netbooks are currently being prodded from the spotlight by the influx of tablet devices anyway, but they still have a viable spot in the market. Their slim, light builds and extended battery life make them perfect for taking on the road. What's more, they have a physical keyboard, which currently makes them superior to tablets for typing out long documents and emails. Of course, the compromise between netbooks and full-sized laptops is performance. Run almost exclusively by low-voltage Intel Atom processors, netbooks are good for browsing the web, working on that mid-term essay and not a lot else. Anyone with more demanding needs who also requires a high degree of portability will be better off looking at ultra-portable laptops instead. To be classed as ultra-portable, a laptop must weigh 2kg or less, and the Packard Bell Dot U comes well under that, weighing just 1.3kg. Packard Bell's Dot U is similar in size and weight to the Sony VAIO VPCZ12V9E/X and Fujitsu Lifebook P770 ultra-portables, but the asking price of £450 is much less than these laptops, and more comparable to the Dell M101z. Carry the Packard Bell Dot U around in a bag all day and you'll barely even notice it. And with a compact chassis that's just 23mm thick, you'll have no trouble fitting it in a briefcase, rucksack or even a fair-sized handbag. This laptop has definitely been designed with the regular commuter in mind. Packard Bell has gone for a red design featuring subtle wavy lines, which cover the Dot U's lid and also the palmrest and touchpad inside. We think it's a smart and appealing look, and helps to brighten up what could easily have been a boring all-black design. More importantly, the chassis is solidly built. We couldn't find any weak spots that flexed under pressure, with even the lid proving suitably firm for life on the road. We can confidently say the Packard Bell Dot U can take a few knocks and brush them off. Our only concern surrounded the hinges that attach the lid to the chassis. These proved a little stiff, occasionally sticking when we opened or closed the lid and meaning we had to push or pull a little harder. It's not a big problem, but it does cheapen the Dot U's design somewhat.